Welcome home to Shipwatch, one of Pinellas County’s premier waterfront condominiums just steps from Indian Rocks Beach. 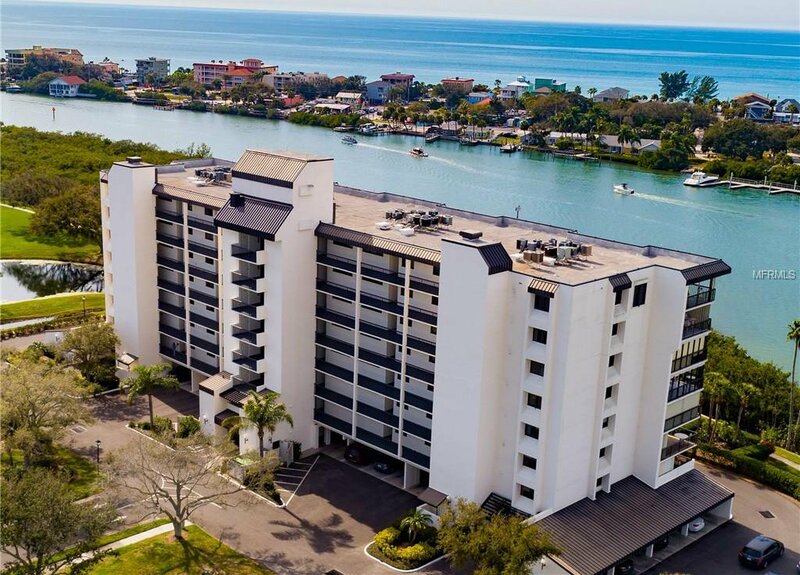 This lovely 2 bedroom, 2 bath unit features a large living area with wood laminate flooring, an adjacent dining area with dry bar that can be converted back to a wet bar if desired, an eat-in kitchen with full suite of appliances and a fabulous covered lanai overlooking the water. Thoughtful appointments include hurricane shutters, your choice of a shower/tub combo or private shower stall, marble look-a-like vanities, neutral paint and front load washer and dryer tucked away out of sight. Community amenities include two clubhouses with regular activities and events, swimming pools, tennis courts, fitness center, natural walkways and trails for walkers and joggers, barbecue sites and a pier. Small pets welcome! Dues cover cable TV, water/sewer, trash, swimming pool, recreational facilities, private roads, insurance, grounds maintenance and more. Call today to schedule your private viewing and own this slice of paradise! Listing courtesy of RE/MAX ACTION FIRST OF FLORIDA. Selling Office: VERY IMPORTANT PROPERTIES.